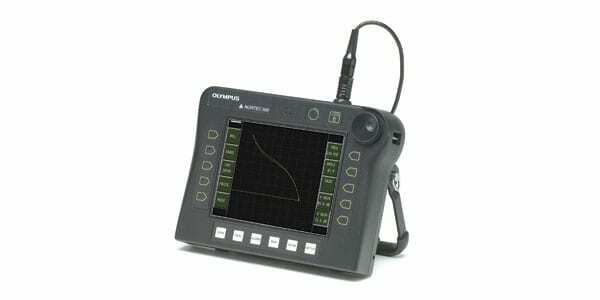 The Olympus Nortec 500D is an eddy current flaw detector built with a wide range of features that make inspections more complete. 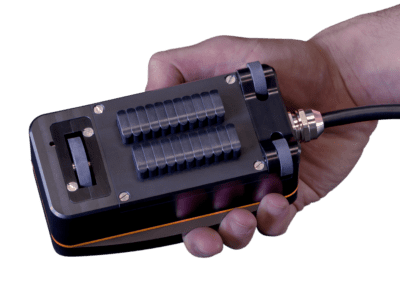 The internal balance coils allow for use of a wide variety of inexpensive absolute probes without the need for any external adapters, saving time and money. 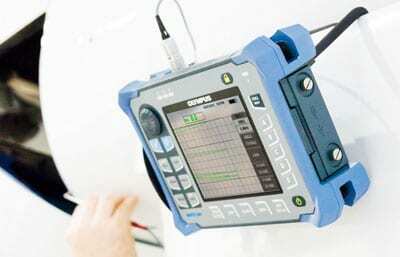 With the advanced PowerLink system, the Nortec 500D Eddy Current Flaw Detector provides automatic probe recognition and program setup. This unit also has on-board storage of up to 200 programs. For applications where weight is critical, this tool only weighs less than 3 pounds and doesn’t fall short on capabilities. With features like digital conductivity, coating thickness measurement, single or dual frequency options, rotating scanner support and a built-in preamp for extra gain during difficult tests, the Nortec 500D is a fully featured inspection tool that gets the job done right. 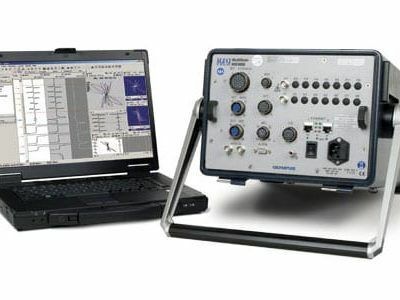 View inspection results on the 6.5” VGA monitor and even hook it up to an external monitor or projector for peer review. After inspections are complete, transfer inspection data using the high speed USB port including with the eddy current flaw detector.